THE 2013 HALSTEAD GRANT… Be The Next Winner! Well, it WAS Spring. I mean, it is still technically Spring, but it FELT more like Spring a few days ago than it does now. Spring decided, “Heck, I’m just going to go ahead and wrap this party up now!”…Which has me firing up the wood stove and wearing many layers of clothing… again. But it’s not just the bitter, freezing cold. No. There is also the showing off of the wind and snow…the gusting, the biting, the making of swooshing sounds…. I stand on the porch with a flailing hair-tornado whipping around my head, and stare, blankly, in the direction of my garden where, I swear, Spring used to be. Spring can be such a tease at 7,500 feet in elevation. It was at this very time of year, on a day just like this three years ago, when I was plopped in front of my computer working diligently at completing the submission requirements for the Halstead Grant application. This took me FOR. EVER. And caused me to use swear words. But, HOLY CRAP, it turns out I won the grant that year! Halstead Bead is dedicated to building the Halstead Grant. 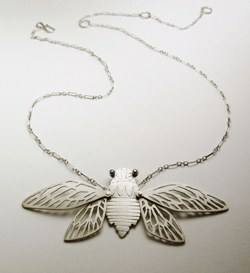 The grant is awarded to a deserving jewelry design candidate each summer. 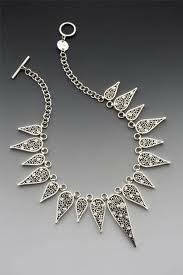 Applicants should be professional jewelry designers who began their labels within the last three years. Complete eligibility requirements and application details can be found here, and I encourage you to apply! The 2013 applications must be postmarked between April 15 — June 9! In addition, the family-owned company is a wholesale importer and distributor of wholesale jewelry supplies. They are excellent people who LIKE ME. It is clear on your website that Halstead Bead believes in supporting the dreams of other jewelry entrepreneurs starting out in the industry. You began sponsoring the Halstead Grant in 2006. What did you have in mind at the time when you made the decision to award a new designer each summer? What have you been surprised by over the years? Halstead is celebrating 40 years in the trade this year. During the past decades we have seen many of our clients become successful while others have unfortunately moved out of the field for one reason or another. Success in the industry takes a blend of business savvy and design excellence. Many designers are strong in one of these areas but not both. For years, business smarts were actually shunned by much of the jewelry arts community as “selling out” or not supporting “pure art.” We wanted to create a program that would encourage jewelers to look at both of those necessary dimensions of success at an early stage in their careers. Fortunately times have changed and jewelers are now embracing the benefits of entrepreneurship seminars and resources. Back in 2006 when we started the grant there were a number of industry awards available for fine jewelers working in gold, platinum and high end gems but the opportunities for jewelers in other media were very limited. Moreover, there were no awards that included business skills in the judging criteria. We wanted to recognize outstanding artistry in a different segment of the market while encouraging jewelry artists to focus on their business skills. A lot of people in the high end segment of the industry make the mistake of thinking that silver and other metals are just stepping stones for developing artists. However, we strongly believe that silver is an artistic media in its own right. 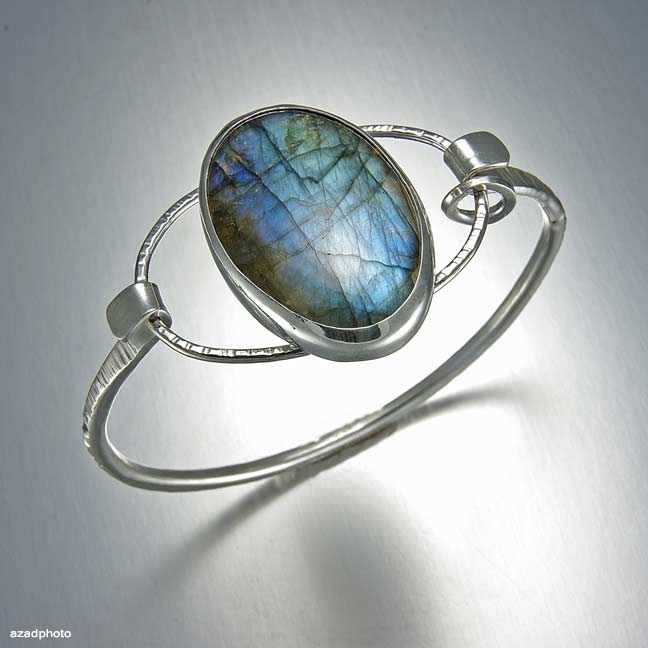 Many artists choose to stay in silver for the love of the metal and the design possibilities it provides. In the last seven years I have been struck a number of times by the sheer creativity of our applicants. The metal arts have been around for several millennia and yet talented individuals are still finding ways to make it completely new through strikingly original work or exciting new ways to connect with their customers. How have the grant requirements changed since its inception? A couple years ago we focused the grant on silver as the primary media in an artist’s line. All materials are welcome as components but applicants should primarily identify themselves as silver jewelers. We felt this change would add clarity to the award. When the material requirements were more broad there was a lot of confusion about eligibility etc. We receive a lot of requests to open up the award to international applicants. However, this will remain a strictly US grant. As a judging committee we cannot fairly assess the preparations and competitiveness of jewelers in markets we do not know. The business strategy component is a huge part of this competition, we are not just judging portfolios. You make a point of distinguishing ‘bridge’ or ‘art’ jewelry from ‘fine’ and ‘costume’ jewelry, explaining that it is hand-made and comprised of high-quality materials that fill the industry gap between the other two market segments…. not as high end and expensive as ‘fine’ jewelry, nor as machine-assembled and inexpensive as ‘costume’ jewelry. Why did you choose to sponsor this particular segment of the jewelry market? 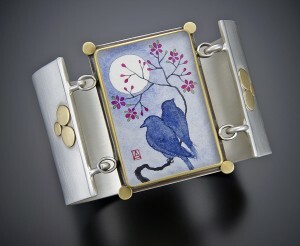 The bridge or art jewelry segment is quite simply our customer base. This award was about supporting the dreams of our clients and recognizing exceptional talent in the field. Jewelry is a tough market. There are thousands of start-up jewelers entering the trade each year. Trying to build a sustainable career is tough but it is also achievable. We wanted to provide some guidance on what it takes to make it. Those who have applied for the grant often write back to us about what a pain in the neck the application process is but how they finished the submission and realized they were more prepared than ever for what they were trying to do. The grant application forces applicants to take time away from the studio to think through some tough business questions. Jewelers often prefer to be creating but it is important to have the discipline to regularly strategize, market and account for your business. What jewelry trends, if any, have you noticed within your applicants’ submissions? The DIY movement has had a huge impact on art jewelry. It is more and more difficult for professional art jewelers to distinguish themselves from the craft and hobby group. This has created a little bit of an identity crisis in some parts of the industry. Controversy peals through the halls of trade shows. What is art? What is craft? What is design? Who is considered a professional and who is an emerging artist? New jewelers are facing an increasingly complex marketplace. It is more important than ever to sharpen your management techniques in order to survive. On the product side, over the past eight years, handmade jewelry has evolved away from beading as the primary technique and into much more metalwork. Metalsmithing is not just practiced at the traditional fine jewelers’ bench anymore. It is moving into the art studio space to a wider group of metal aficionados, who are overwhelmingly women by the way. Silver jewelry artists as a group are increasing their metalsmithing skills and their tool stashes to create a broader range of work. When I review the previous grant winners’ work, I notice an incredibly wide range of styles and techniques. How do you base the judging of such a highly varied collection of work? It’s tough, you have to look at each submission as a whole. One part of a particular candidate’s business strategy may make perfect sense with their body of work and their approach to marketing. Whereas the same tactic would be a disaster for another artist with a different style and strategy. There are no “right answers” to business planning questions. It all depends on the unique characteristics of each business. Jewelry has been around for a long time so it is a challenge to find artists who stand out from the pack. Each of our winners has had different strengths and weaknesses but I think all of them are jewelers who will thrive in the industry in the long term. Have you found any common business challenges among emerging jewelry entrepreneurs over the years? Yes! We have even posted some articles on the grant website to address some of the areas where applicants seem to struggle. Here are my top three pieces of advice for new jewelers. 1. Know your buyers – You need a thick skin to be an artist. If you are creating original work, some people will hate it. Take a breath and admit that to yourself. It’s ok because other people will LOVE it. The trick is identifying who your best bets are and how you can reach them most effectively. One of the biggest mistakes jewelers make is saying that “all women” love their creations. They don’t. Get over it. You are not doing yourself any favors by glazing over one of the fundamental hurdles in business. Identify your buyers as best you can. It’s true you may see clients from different age groups or social segments; but, they like your style so that means they have more in common than just their gender. Your job as a marketer is to become a social anthropologist and learn everything you can about what makes your buyers tick. Then translate that into your sales strategy. Not easy, but you can do it. 2. One-of-a-kinds – In the art jewelry segment the price points usually cannot sustain a business working strictly on one-of-a-kind designs. The numbers don’t add up. You need to be selling custom pieces for thousands of dollars each to be able to support a studio on one of a kind work alone. That is rare in silver. That doesn’t mean you can’t include custom pieces in your line. In fact, they are vital for development, marketing and collector accounts. However, you will need some type of production line to stay in business as a silver jewelry artist and support yourself. That line can change frequently but is a necessary part of business. 3. Think past current fashions – Many jewelry upstarts boom when their primary designer has a talent that matches a current trend. For example, a lot of successful new businesses right now are founded on lines of hand stamped jewelry. Custom stamped charms are extremely hot these days. The test of time will tell which of those businesses can survive to the next trend once hand stamped work fades in popularity. It is incredibly difficult to transition your brand through different fashion movements while maintaining a recognizable look and identity. We look for artists that have the ability to do precisely that when we award the grant each year. Thank you, Hilary! I know I feel pretty special to be part of a growing group of award-winning art jewelry entrepreneurs.